In an interesting bit of timing, on Thursday the Supreme Court ruled that Texas doesn't have to allow Confederate flags on its license plates. The court split 5 to 4 on the matter of whether Texas' refusal to allow the plate design proposed by the Sons of Confederate Veterans (SCV) constituted a violation of the First Amendment. The court ruled that since the specialty license plates are equivalent to government speech, the state was not required to allow the design. In the majority decision, Justice Stephen Breyer wrote that "Just as Texas cannot require SCV to convey the state’s ideological message, SCV cannot force Texas to include a Confederate battle flag on its specialty license plates." In the dissent opinion, Justice Samuel Alito wrote that the decision essentially restricts free speech of unpopular viewpoints. "It establishes a precedent that threatens private speech that the government finds displeasing," Alito wrote. Thursday's SCOTUS ruling was especially important. Accused Charleston church shooter Dylann Roof, who allegedly killed nine African-Americans during a prayer meeting, had a Confederate flag license plate on his car, as seen in a photo from his Facebook page that was displayed on media outlets across the country as law enforcement officials sought to apprehend him. The Confederate flag, a divisive symbol of the Civil War, became part of the story in South Carolina on Thursday as well, when the U.S. and South Carolina state flags in front of the state capitol building in Columbia were lowered to half-mast in mourning, but the Confederate flag nearby remained at full staff. That's because only the South Carolina legislature can determine when the Confederate flag comes down, according to The Post and Courier. 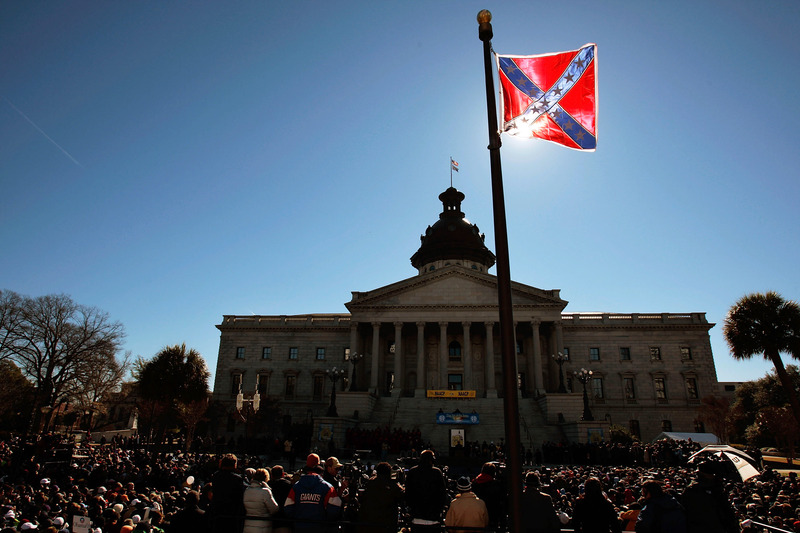 With slavery being a key factor in the Civil War, the Confederate flag is viewed by many as a racist symbol. And since all the victims in the Charleston church shooting were African-American, the prominent placement of the Confederate flag near South Carolina's Capitol building once again drew calls for it to be removed. While Texas has taken a step in the right direction, it seems unlikely that South Carolina will remove the stars and bars from its public spaces anytime soon. Gov. Nikki Haley said during her reelection last year that as far as she was concerned, the Confederate flag was a nonissue, Mother Jones reported. But Roof has revived the discussion about whether the Confederate flag is a symbol of racism and hate, which is a very serious issue indeed.